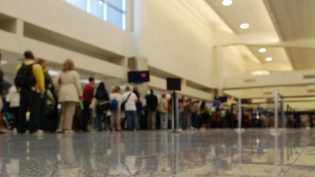 Oct. 29, 2018, 10:18 a.m.
By Christine Schmidt @newsbyschmidt Oct. 29, 2018, 10:18 a.m.
With new publishing partners and $7 million more in funding, the TSA-Pre✓-for-Internet-news-consumption startup Scroll — led by former executives of Chartbeat, Spotify, and Foursquare — plans to unfurl in 2019’s first quarter. Ken Doctor characterized Scroll this way last fall, when the startup was one year in: “Talk to people in the news industry about what they think of his new startup Scroll, and they hesitate. They may stumble describing its model. They’ll say it’s something they’re watching. And then they’ll tell you if Tony Haile is behind it, they expect to see something impressive.” So, no pressure — but the team is getting closer to delivering. The bet Haile, Chartbeat’s founding CEO, is making with Scroll is that he can convince online news readers — both subscribers and non-subscribers — to pay $5 a month for a substantially better, ad-free user experience on the news sites they already frequent. If that pitch works, it could send publishers more money than they could generate from advertising revenue. Last week, Ben Mullin broke the news at The Wall Street Journal that Scroll had brokered deals with Vox Media, The Daily Beast, and BuzzFeed to bring their sites onto the service. A total of 27 brands are now signed onto Scroll’s testing phase, joining USA Today, The Atlantic, MSNBC, and more. And Scroll has a serious new infusion of capital to keep it going: Investors, including The New York Times Co. and Axel Springer and led by Union Square Ventures, have now committed a total of $10 million over the past two years. As the media industry focuses on ad-blocking, reader revenue, and data security, Scroll’s ten-person team (planning to grow to 40 by the end of this year) has been spending 2018 constructing its GDPR-compliant infrastructure, negotiating deals, and testing the startup’s model. “Nobody has said no” outright, Haile said, of the publishers they’ve approached. But he isn’t measuring by number of publishers; they’re working to add organizations by content consumption coverage, or the top sites where potential Scroll users spend their time. “The consumer doesn’t think about how many sites are in the network, but how much time they get to spend in a better experience,” he said. 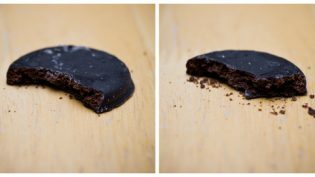 The split of that consumer’s $5 (or rather, 70 percent of it, after Scroll’s cut) is distributed to publishers based on the amount of time the consumer spends with their site. Scroll is one of a few nascent group of startups trying to connect publishers with reader revenue outside the boundaries of a strict subscription, like LaterPay, Blendle, and Invisibly. Scroll’s ad-free experience will be the same for any paying user, though it won’t get you around publisher paywalls. (If you don’t pay for The New York Times, for instance, you won’t get more free articles because you use Scroll — but the ones that you do get will be ad-free.) Scroll will also have to pitch itself to users outside those Nieman Lab niche types, in addition to publishers, to sign up. A significant pull for publishers is Haile’s promise that Scroll can generate more money per user than a typical ad experience. Scroll’s team tested its model based on a group of Digital Content Next publishers with $7 billion in digital ad revenue from 234 million unique visitors in a year. “What that means is that cohort of people makes about $2.50/month/person altogether [through ads]. We knew we had to have a distribution pool that was bigger than that,” Haile said. Consumer research on pricing levels showed a substantial number of users willing to pay the $5, with Scroll passing along $3.50 of that. While Scroll has been setting up shop, the publishing industry prepared to face off with adblockers and ended up taking more of a data security tack this year. Google’s in-house Chrome adblocker helped limit the peskiest of advertisements and GDPR whipped the Internet into data security shape (extra thanks to a little thing called Cambridge Analytica), but Facebook’s algorithm plot twist and, you know, just the general state of the world has reminded publishers of the urgency to grow reader revenue. Haile sees the moves as steps toward a better Internet world. 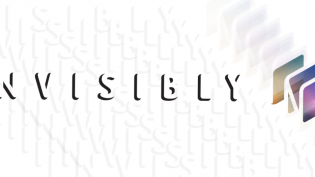 Newsonomics: Can Invisibly be the new revenue stream publishers dream of? 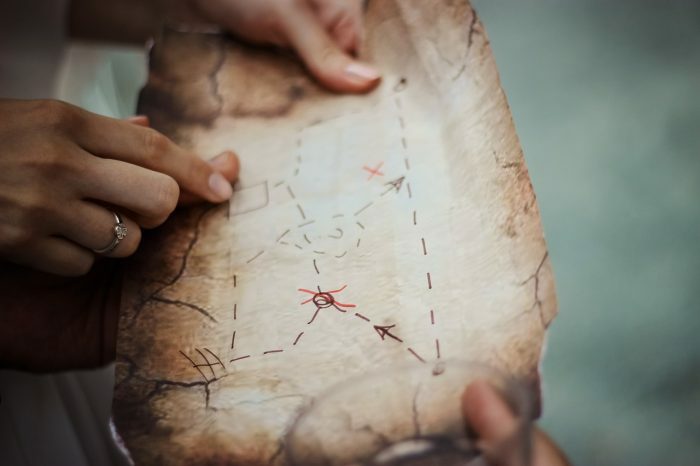 Image of a treasure hunt map on a scroll via Pexels used under a Creative Commons license. POSTED Oct. 29, 2018, 10:18 a.m.
Schmidt, Christine. "Hunting for reader revenue, Scroll sets up shop for 2019 with more publishers and $10 million raised." Nieman Journalism Lab. Nieman Foundation for Journalism at Harvard, 29 Oct. 2018. Web. 20 Apr. 2019. Schmidt, Christine. "Hunting for reader revenue, Scroll sets up shop for 2019 with more publishers and $10 million raised." Nieman Journalism Lab. Last modified October 29, 2018. Accessed April 20, 2019. https://www.niemanlab.org/2018/10/hunting-for-reader-revenue-scroll-sets-up-shop-for-2019-with-more-publishers-and-10-million-raised/.